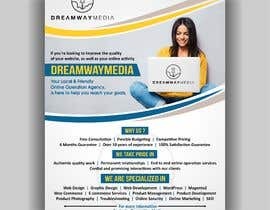 DreamWay Media is in need of an advertisement banner that can be used to promote our services across various social media platforms. The banner should be really appealing and force prospective customers to have no choice but to use our services. Yyou don't have to use all the text, modify as you need to. -Are you exhausted from not receiving the web presence that you desire? 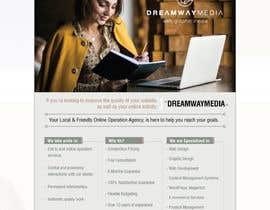 -Is your website a supportive, steady means of income? 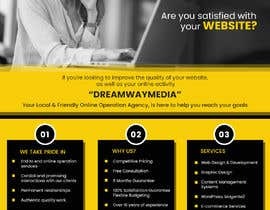 -Are you satisfied with your website? Your Local & Friendly Online Operation Agency, is here to help you reach your goals. We are a small group of passionate people who are based in Los Angeles serving top quality services locally and abroad. - End to end online operation services. 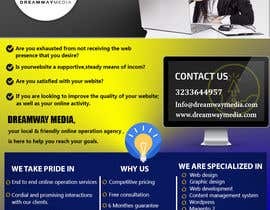 - Cordial and promising interactions with our clients. Try not to have the information clustered on the banner. Keep it precise. DO NOT over-crowd with too many graphics. 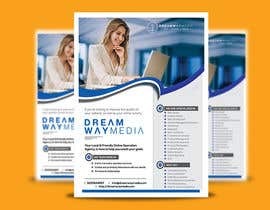 The aim is to have an inviting, precise (detailed) advertisement that will lure customers in. Also, use free royalty pictures. 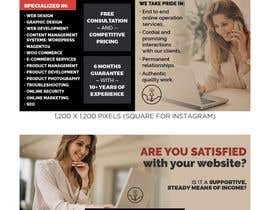 Please have a picture of a female model in the ad integrated. [login to view URL] - Please go to this link for all the pictures of the logo. [login to view URL] use this to get some ideas. PS: Whoever is awarded, will be recruited for other projects as well. There is an updated version of the logo, so take note of that. KINDLY CHECK THIS #40 . DearCH, Please Check Entry #30 thanks. Any Specific Size of Banner?